Some ideas I have just don't work. Let me share one with you. 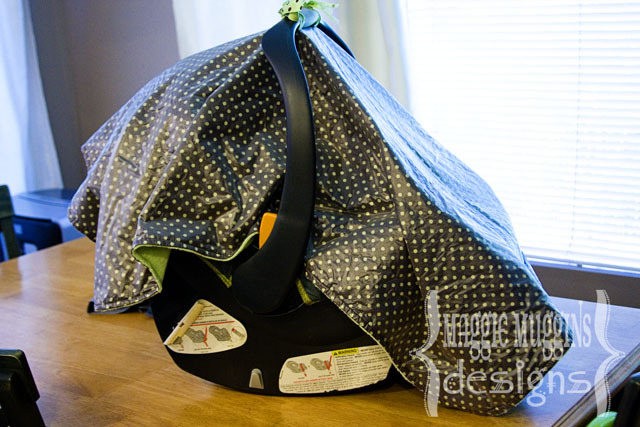 I've seen Car Seat Canopies or Covers all over and seeing as we live in the Pacific Northwest (read: there is a lot more rain here than other places) I decided to make a water resistant version! Sounds fabulous right? I used minkee on one side and a laminated cotton on the other. 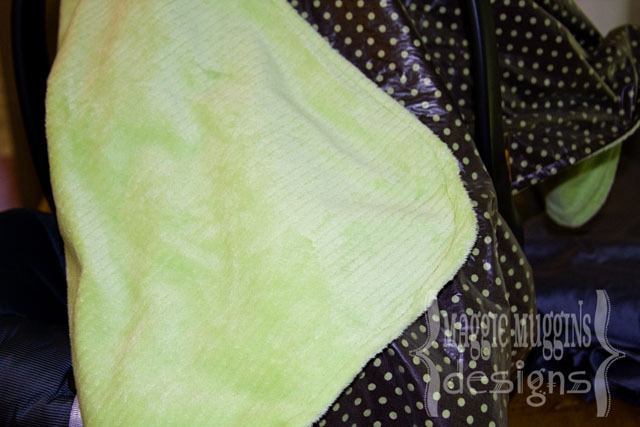 The laminated cotton is really soft but still wipes off easily so the rain doesn't soak into the cover! 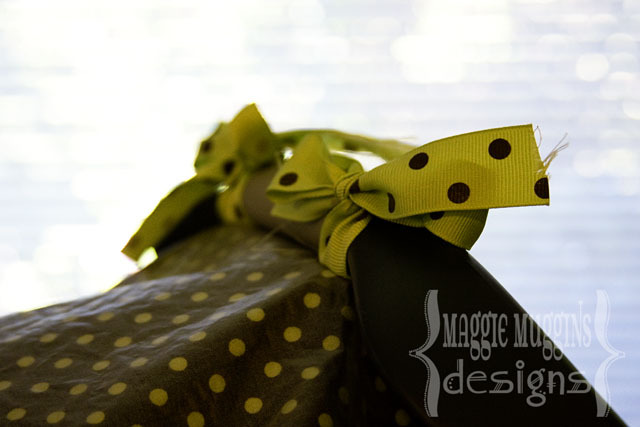 I ran out of fabric when I was making it so I didn't have enough for handles, instead I found a coordinating ribbon to tie it. It turned out really cute. It looks great. But it just doesn't work. Why? It is too heavy and bulky. The thing about cotton ones is they are lightweight so they're easy to move to get the baby in and out, to peak in, or in the car. This one was like having a thick, crinkly blanket in my way all the time. Flipping it back to peak at the baby, or when in the car took some effort. While it wasn't too noisy, as Laminated Cotton is really quite soft, you all know it just takes a small sound sometimes to wake the baby. It added more weight to the already heavy car seat, and it was so thick I worried about it getting too warm for the baby. So this project was a failure, almost. I would try this again, just using the laminated cotton on it's own, without a lining fabric. I was going to take the canopy apart and use the fabric for something else. Then one day I was somewhere I didn't want to put my baby down because of the dirty ground. But I happened to have the car seat cover in the car. I whipped it out and put it laminate side down. The soft minkee on the other side was perfect for him to lay on. The best part? It was a simple easy wipe down after and it was clean again! So I removed the handles and now keep it in the car for the park or other outings. Hurray! I have an Outdoor Baby Mat. *Side Note: If you have not used Laminated Cotton it is not meant to be washed. I washed this blanket however, on a light cycle, and then hung it to dry. There was no damage done.